CNC machining with higher tolerances and its machining advantages over coventional fabricating,which are applicable to many prototype industries. 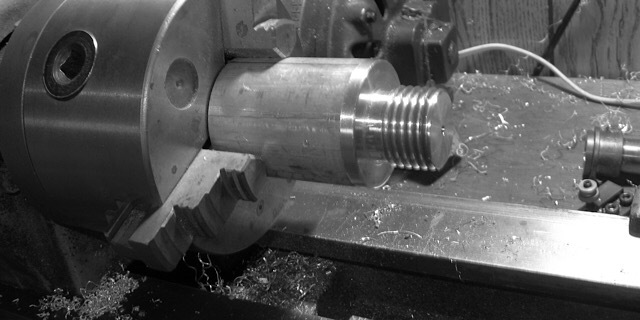 Despite what a lot of people say, machining is the most widespread method of fabrication today. This process of removing material chip by chip was created since immemorial times and is now a perfected precise instrument of fabrication. 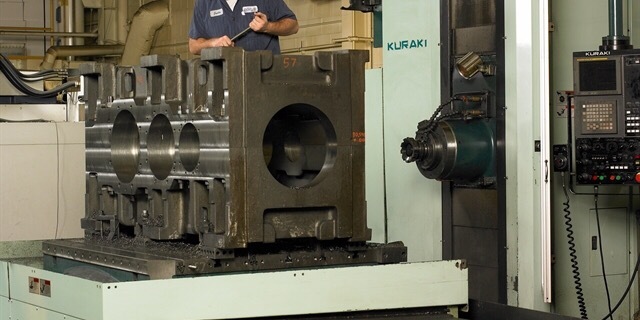 Every industry uses machining to some degree. There are no exceptions. However, some industries get more out of machining than others. One of the key features of modern machining is the Computer Numerical Control systems. They make the cutting tool go according to the trajectory you've preprogrammed for it. The CNC machining tolerances are considerably higher compared to manual machining processes. In addition, the machining preparation time is much lower. This brings such processes in the area of rapid prototyping, previously occupied by different casting and forging works. 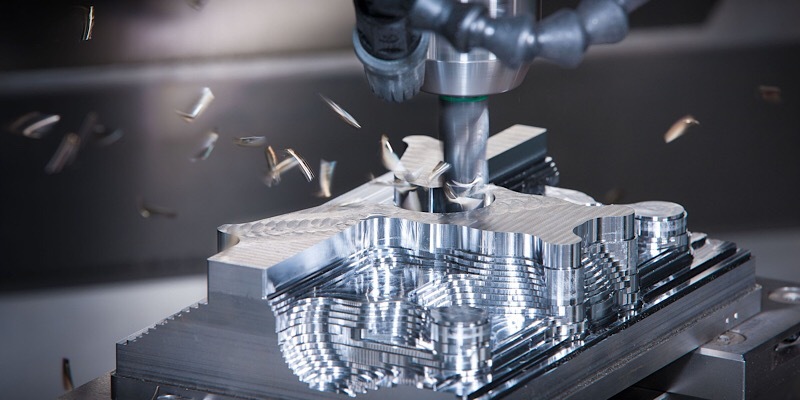 Where does CNC machining shine at its brightest? Now, let's talk about prototype machining applications in Manufacturing Industries. 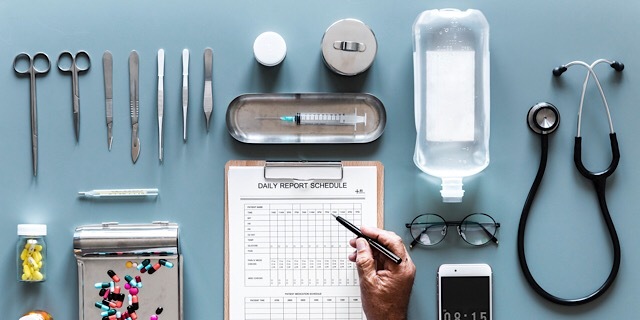 The Medical Industry relies on the precision of its tools. In some cases, an error of 0.01 mm may be the line between life and death. Medical scalpels need to be razor-sharp and how do you think they are manufactured and sharpened? Another example is the high-velocity medical centrifuge. It is used to ferment some exceptional chemicals that can only come into a reaction while revolving at tremendous speeds. Some of the centrifuges reach up to 100,000 RPM. The spindle is set in the airfoil bearings to withstand the friction. The shaft basically revolves in the air. At such a revolution rate, even the slightest spindle radial beat will result in the excessive friction so high that the bearings will burn and the spindle will shoot from the centrifuge like a bullet and will put someone's eye out, probably. The only way to make such precise shafts is to continuously machine them using turning at first, then grinding and polishing. The main advantage of CNC machining here in regards to a prototype is that once you've reached the required tolerance, you can easily repeat it by using the same NC programs. Plains and space shuttles are one of the most complex inventions of the human mind. 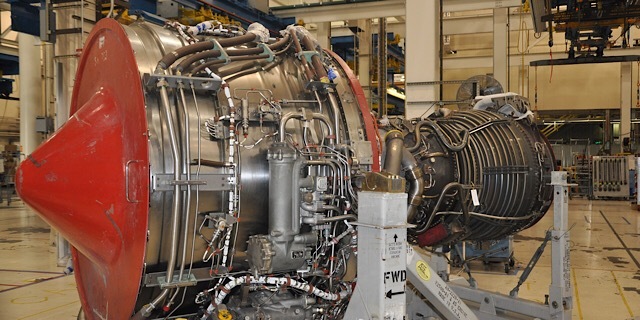 The parts that comprise the aircraft engine work in the worst conditions imaginable: high temperatures, dynamic forces affect them, corrosive elements often find their way among the air and other hazards are prone to lower the life of the parts. In order to make such machines as reliable as it is humanly possible, very strong and durable materials are used. The strongest and most durable of materials also happen to be very hard to process, so the hardest tool materials are required. Manufacturing aerospace parts is a complex technological process with a lot of consecutive machining methods. For example, a titanium part must be milled/turned a few times with varying velocity and feed, then it is ground with a number of different grinding wheels and polished to perfection. Such precision is impossible without the CNC machining technologies. The automotive industry is characterized by the fact that it always renews itself. New cars are issued every year at a mass production rate. 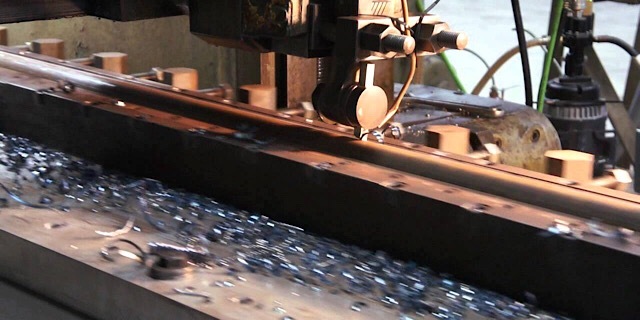 The advantage of CNC machining, in this case, is in the fact that an NC program written for a prototype will be viable for the mass-production. 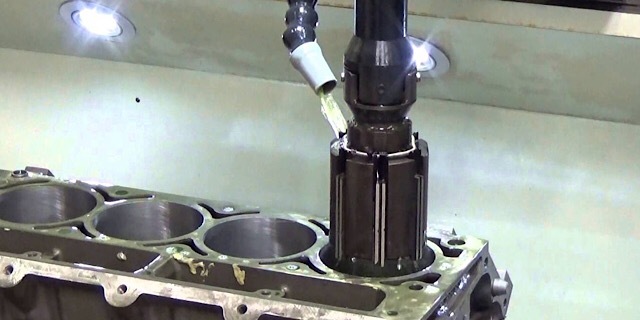 The machining is indispensable in engine manufacturing where the tolerances between the piston and its seat are just a few microns. The machining is useful in creating perfectly clear car lights. The technology required involves a precise diamond cutting tool moving with incredible velocity at the tiniest of feeds. 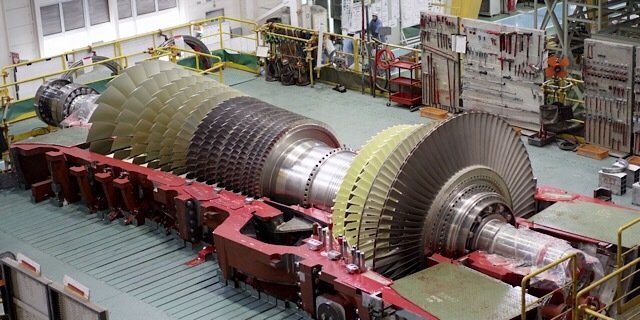 Steam turbines manufacturing time is at least 60% machining. The turbine blades are the most complicated element of the system and they are usually mass-produced by casting and some finishing operations. However, when we mention prototyping, the situation is completely different. Casting prototypes is too expensive so milling becomes the prevailing process. 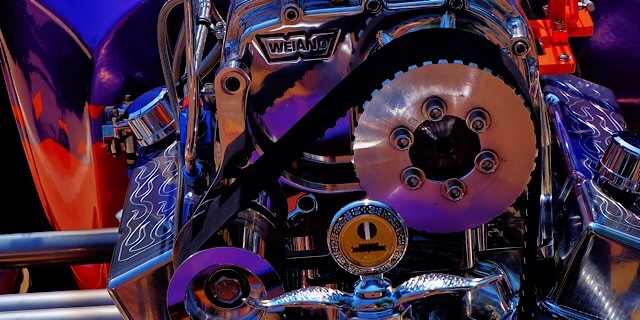 The whole blade is cut from a blank cylinder and the experiments are conducted to determine whether the design and the material will be good enough to withstand the loads and temperature. 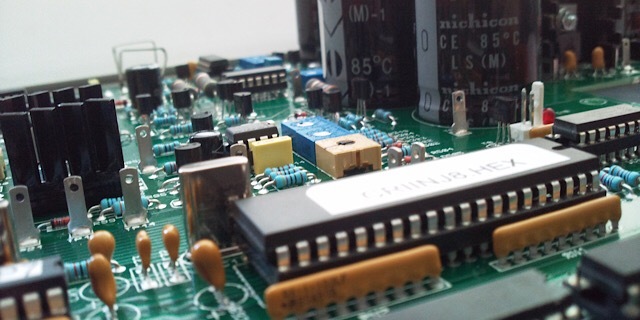 Electric circuits, processors, fans, resistors are all made of metal. That being said, their sizes are minuscule, precision and surface finish is high. So, there is really no other option but to machine the plates and transistors so that they will have enough efficiency to work in modern circuit prototypes. Milling. The most widespread method where a rapidly revolving cylindrical tool cuts grooves or other forms in a static fixed part. The CNC control system enhanced the technological capabilities to unimaginable heights. When before, you had to make special patterns manually to create complex surfaces. Now, almost any surface can be achieved by simply making an NC program. The precision of the method is somewhat limited due to rigidity and tool precision. Turning. The second best method. Its principle is similar to milling but the principle is that the part revolves while the instrument is moved across the part to cut off the chip and achieve require surfaces. This method is somewhat limited to revolving parts but newer additions such as adding the second spindle with a mill have somewhat reduced the disadvantage. Shaping. The method is ideal to create complex inner holes and grooves. It is probably the only way to create inner key seats without expensive equipment. Grinding. It is THE method for precise parts. 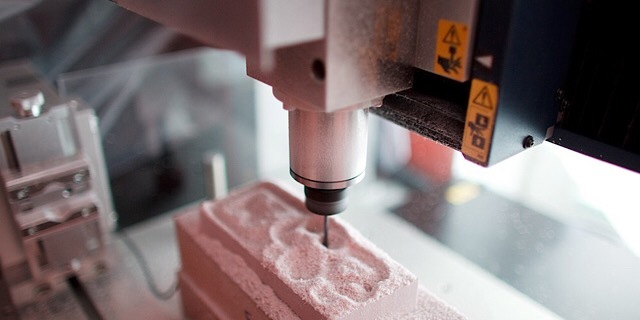 CNC milling or turning tolerances can reach up to IT7 but grinding methods can get you the precision of up to IT4, which is just a few microns. The surface finish is corresponding to the tolerance. It can be achieved because of the smallest possible cut used in grinding. The grinding wheel consists of tiny hardened particles and those particles are the ones that do the cutting. Polishing. Polishing can increase the precision of a ground part further but its main advantage is achieving the best surface finish possible. Mirror-like surface can only be achieved through polishing. Boring and Threading. A lot of enclosures require complex and precise deep holes to be made. The deeper the hole the harder it is to manufacture. That is why specialized machine tools are used. So-called boring heads allow for high precision hole making of great diameters. 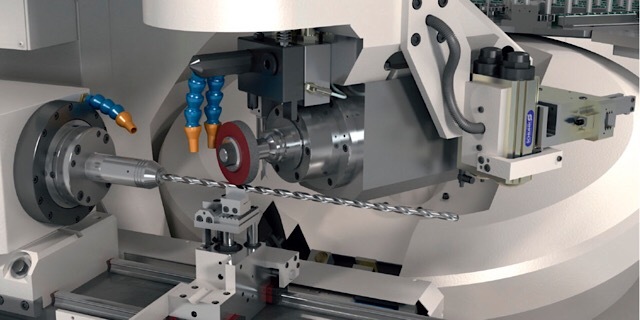 Threading is also a very complex process because the tool feed must correspond with the cutting velocity. The cutting temperature and forces are very high and so the processing is carried out at minimum speeds. If the instrument gets stuck in the hole, there is no way to get it out without harming the stock. Honing. The process is quite similar to grinding but the instrument is different and the method is viable only for inner surfaces. A honing head is a special cylindrical tool with abrasive stones on its outer surface. You can change the diameter of the head, insert the head revolving at large velocities into the hole to be worked and achieve a high precision textured surface as a result of the process. Machining is an indispensable process that offers the most flexible material processing options. At the same time, we should make the best full of advantages of cnc machining. It can be used both in roughing operations to get a blank from just a piece of metal or to get a high-precision fine surface finish part. You can machine any material you like. From the softest ones like wood and plastic to the hardest materials such as titanium and nickel alloys. You can manufacture parts with the most complex of geometrical parameters. 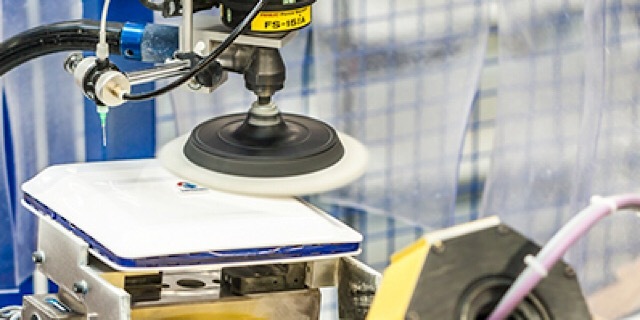 The amount of time required to create a new NC program is small compared to the time necessary to produce parts by casting or forging or other methods.